How do you cover 109 years of South African history in a single volume to everyone’s satisfaction? The short answer: with difficulty. By REBECCA DAVIS. Writing South Africa’s history is a troublesome enterprise. For one thing, there is the sheer multiplicity of histories available: how do you construct one single, coherent national narrative when differing groups within the country have lived such exceptionally varied existences? For another, our attitude towards historical events is inevitably shaped and modulated by our distance from them and our socio-political context. Many South Africans of a certain age will recall being taught history at school from textbooks which essentially elided the history of black South Africans altogether in favour of endless re-tellings of the Great Trek. Producing definitive accounts of South Africa’s history is not a job for a faint-hearted, especially because such accounts will inevitably be contested. Anyone who takes on the task must presumably gird their loins in defence of accusations of non-inclusiveness, political bias and cultural relativism. Perhaps as a result of this, there have been few of these kinds of works produced before now, although the reason for their scarcity is more likely to owe something to their simply not having been commissioned by major publishing houses. The two-volume Oxford History of South Africa was published in 1971, but only covers the period up to 1966. As an illustration of the criticism these works attract, the Oxford volumes were accused by left-leaning historians of not apportioning sufficient blame to the mining industry (and capitalism itself) for playing a role in the creation and maintenance of the apartheid system. 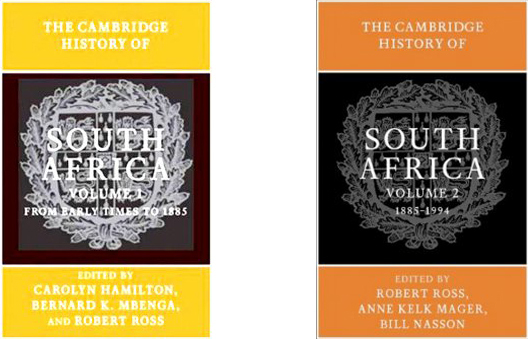 The first volume of Cambridge University Press’s History of South Africa was published in 2010 and covered the years from “early times” to 1885: an ambitious undertaking, to say the least. But not much easier is the project presented by the second volume, which has just been released: a chronicle of South Africa’s history from 1885 to 1994 – in other words, from the discovery of gold in the Witwatersrand to the first democratic elections. The book was edited by a trio of historians: Robert Ross from Universiteit Leiden in the Netherlands, Anne Mager from the University of Cape Town and Bill Nasson from the University of Stellenbosch. Acknowledging the enormity of their task in the work’s Introduction, they write: “It goes almost without saying that this has in no way amounted to a simple or uniform history.” At the launch of the book at UCT recently, this was a constant refrain from the panelists to whom it fell to introduce (and defend) the work: editor Mager and contributors Shula Marks and Deborah Posel. 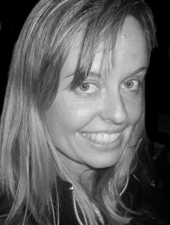 Marks described the completion of the project as “second only to the miracle of the rainbow nation”, at one point, and as a “Sisyphean task”, at another. The work is arranged to progress chronologically, and the focus is split between the political-economic, and the cultural. The 13 chapters are written by some of the biggest names in South African history – the book opens with chapters by the formidable Saul Dubow and the late, great Stanley Trapido – but there are some curious omissions: in particular Johannesburg’s chronicler Charles van Onselen. Inevitably, in a book of 736 pages, there will have to be some broad brush-strokes. So, for instance, we have “The apartheid project 1948-1970”, by Deborah Posel, as a single chapter, though admittedly followed by two chapters detailing popular responses and resistance to apartheid. The book has been 15 years in the making. Marks attributed this lengthy gestation to three major factors. Firstly, large-scale collaborative ventures simply take longer. But the second and third factors are more interesting. Since 1994, many more historical sources have become available to scholars, while at the same time, the discipline of history has changed. In 1960s post-independence Africa, it was possible to write “magisterial, authoritative narratives”, Marks suggests. But 1990s post-independence South Africa was much different to 1960s post-independence Africa and, after post-colonialism and post-modernism did away with many of the traditional certainties of the social sciences, it no longer seemed possible to write these sweepingly authoritative accounts. “South African historians now have an abundance of sources, but no agreed roadmap, or destination,” Marks explained. Pre-1994, liberal South African historians were essentially “engaging in politics by other means”, Marks suggested. But with the struggle over, there is no longer the sense of a shared project, or as Deborah Posel put it, “the strong, comforting/strangulating consensuses of the 70s and 80s”. What has replaced this all is a deep concern with identity politics and the politics of representation: who speaks for whom? Are you allowed to tell my story? This is a question likely to be asked of the editors and contributors of the Cambridge History of South Africa, and editor Magel was quick to pre-empt it, noting explicitly that there were fewer black contributors to the work than they would have liked, and more of a “middle-class white mindset”. All three of the panelists, in fact, were at pains to stress that the book is imperfect. Such honesty was both refreshing and a testament to the inherent uncertainties of South African history today. A member of the audience at Tuesday’s launch asked the panelists to explain why the book contained no mention of Namibia, since the country only gained independence from South Africa in 1990. The panel had no response. Shula Marks recounted a story she likes to tell first-year students in her history class at SOAS (the School of Oriental and African Studies in London). “I see the role of a historian as similar to the chairman of the Flat Earth Society who was presented by the BBC with pictures of the moon landing and asked what he would do,” Marks said. “The chairman responded: ‘Maintain a healthy air of scepticism’. I would advise you to read the Cambridge Volume like that,” she said.